Obituary for Gerald E. "Jerry" Jackson | Sorge Funeral Home Inc.
Gerald E. "Jerry" Jackson, 74, Hollidaysburg, passed away Wednesday at UPMC Altoona. He was born at home in Duncansville, son of the late George L. and Dorothy (Hoover) Jackson. He married Kathryn "Kitty" Yingling in 1964. Surviving are his wife of 54 years; a daughter, Jaime Gensamer and husband, Dave, of Altoona; four sons: Randy and wife, Leslie, of Hollidaysburg, Paul in North Carolina, David and wife, Tammy, in Ohio, and Chris and wife, Amy, of Shippensburg; 11 grandchildren; one great-grandson; two sisters: Verna Jean Glass and Carol Walters of Duncansville; and a brother, Donald G. of Hollidaysburg. He was preceded in death by four siblings: Shirley Salyards, Philip, Charles and Jonathan. Jerry graduated from Hollidaysburg High School in 1962. He retired from highway construction with New Enterprise Stone & Lime Co. Inc., then he was a school bus driver for Hollidaysburg schools. He was a member of Carson Valley Church of the Brethren, where he was formerly a Deacon, a Sunday school teacher and a youth advisor for many years. Jerry greatly loved his family and his bus kids. He enjoyed participating in the Senior Olympic Games and old-timers wrestling tournaments. He also enjoyed visiting the elderly, sick and shut-ins. 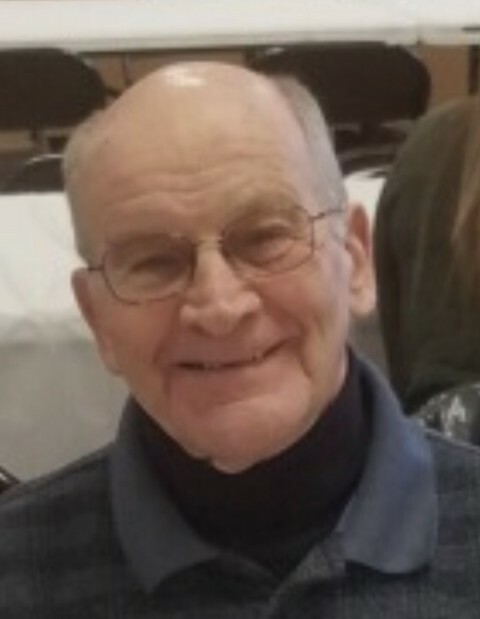 Friends will be received from 11 a.m. to 1 p.m. and 3 to 5 p.m. Monday, Feb. 11, 2019, at Carson Valley Church of the Brethren, Duncansville, where a funeral service will be held at 5 p.m. Monday, Pastor Bradley R. Runkle officiating. A memory box will be provided to share your favorite memories of Jerry. Interment will be at Carson Valley Cemetery. Arrange­ments are by Sorge Funeral Home Inc., Hollidaysburg. In lieu of flowers, please make memorials to the Blair County Christian School, 1140 Foot of Ten Road, Duncansville, PA 16635, and take time to visit the sick, elderly and shut-ins, as Jerry did.